I am so overwhelmed by the amount of love that students have shown me over at my Craftsy class. It honestly makes me giddy and a bit teary-eyed to read the reviews and receive notes here at my site filled with such kind words. I’ve been over there a lot lately, which is why I didn’t get a post up recently. I can’t help but check over there for new questions all the time! If you’re here, or if you’re there, I’d just like to say thank you. It means a lot to me that you come by, whether or not you say hello. I’m happy to be able to share my sewing knowledge and bits and pieces of my days with you, so thank you for always being so nice! This past week, when I haven’t been on the computer, I’ve been taking the dog for long walks when it’s cool out, and cutting bits and pieces for my quilt. I finally made up my own cutting template, and now it’s SO MUCH FASTER. How I didn’t think to do that earlier, I don’t know. When I was sewing up this block, I was trying to think of why it was taking me so long to do. I wasn’t bothering with pinning, and although each block takes a lot of stopping, starting, backstitching, thread clipping and pressing, I still felt like I was missing some piece of the puzzle that would expedite the process. After the block was done, I sat there and looked at it, and then I realized why it took me as long as it did to sew it up. It’s made up of 72 little pieces. SEVENTY-TWO. FOR ONE BLOCK. This is going to be a looong project. I realized I both needed a break from these small pieces and to get out of the house this morning. I have a few new classes up over at Modern Domestic, and they need samples made for the store. I headed out with my friend Jessica, and after spending a good two hours at Mill End, we popped over to the Pendleton Outlet. That’s when I saw the perfect fabric for my Anise jacket! The jacket is already a bit retro looking, and the rust and light blue plaid looked like something my Dad would have worn in the 1960s. Is that weird for a woman’s jacket? It’s kind of why I love it. And the buttons?! They were only five cents a piece. Sheesh! I snatched up the eight I needed, but I might go back for more of them. Now that I’ve shared, I want to know what YOU are working on these days. Getting ready to make a fall wardrobe? Working on a big warm quilt, or knitting up a scarf? Leave me a link in the comments so I can come by during my morning coffee and see your projects, please! 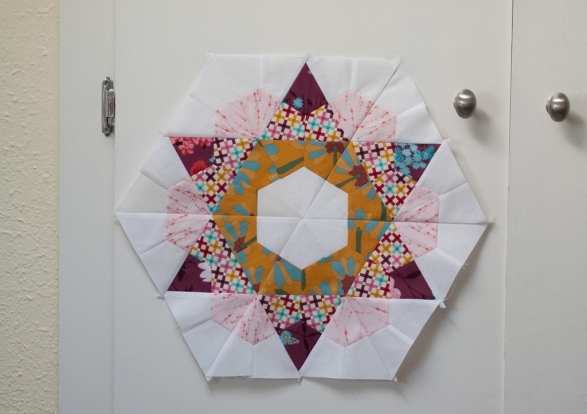 This entry was posted in Projects and tagged buttons, fabric, quilting, sewing on September 18, 2012 by Amy Alan. It was so fun exploring the fabric store with you today! 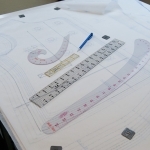 I probably could have spent the whole day there dreaming up garments to make. 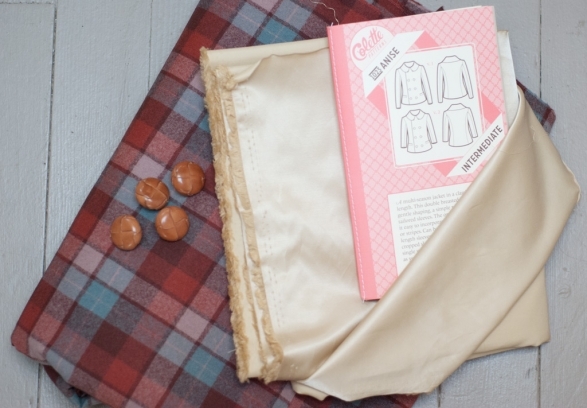 Your Pendelton fabric is fabulous and I can’t wait to see it transformed into the jacket. Congrats again on the Craftsy class! I can’t wait to take it. 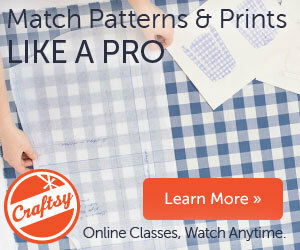 I just enrolled in your craftsy class Amy! You have such a wonderful teaching style and I’m so excited to start! You rock :). Thank you, Doreen! That’s so nice to hear and I appreciate you taking the time to leave me such a sweet comment! Hi Amy. I’ve enrolled in your Craftsy class too. I’ve only watched the first two videos but I’m really enjoying them. Love your teaching style. It gives me confidence to tackle my serger! I started your Craftsy class the weekend before last. It was extremely helpful! I bought a 1986 (??) Singer Serger over a year ago and I didn’t know a thing about how to operate it until I took your class. Thanks! That is so wonderful, Julie! I’m very very glad to hear that my class has helped you. Thank you for coming by and leaving me such a nice comment. 🙂 Brightened my morning! Hi Julie! I’m so happy to hear that! Sergers are wonderful machines, and I’m very glad to hear you have yours ready to put to good use. Thank you for stopping by to leave me a nice note. 😉 I appreciate it!